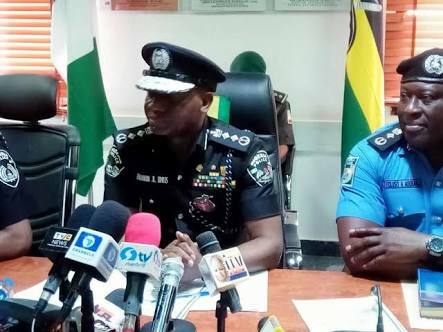 Short of constitutional amendment, the federal government and state governors have resolved to explore how the operations of the Nigeria police can be decentralised in order to improve the level of policing and security in the country. This is one of the highlights of the National Economic Council (NEC) meeting yesterday where a committee of state governors and the Inspector-General of Police (IGP) has been set up to ensure the decentralisation. Members of the Committee include the Governors of Zamfara, Ondo, Plateau, Ebonyi, Katsina, Edo and Borno states, who will work with the IGP, Ibrahim Idris. At the NEC meeting, the National Security Adviser, Babagana Monguno, assured that the intelligence community and security agencies will continue to sustain current efforts to mitigate the security challenges across the country. Mr Monguno had earlier briefed the council on security matters. Briefing State House correspondents, the Deputy Governor of Benue State, Benson Abounu, commended the efforts of the security agencies at mitigating the spate of insecurity in the state. He especially thanked the security agencies for the thoroughness of Operation Whirl-Stroke, mounted by the Nigerian Army in Benue State for their decisive operation which, according to him, has brought relative peace to the state. Mr Abounu, who spoke to reporters, said, “The security situation in Benue State has improved significantly. Now many Internally Displaced Persons have returned home, the State is relatively calm”.